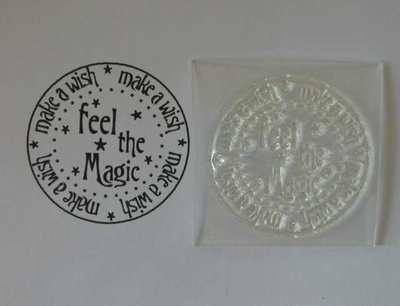 A 'Make a Wish' circle stamp with dotted inner circle and 'Feel the Magic' in the centre. 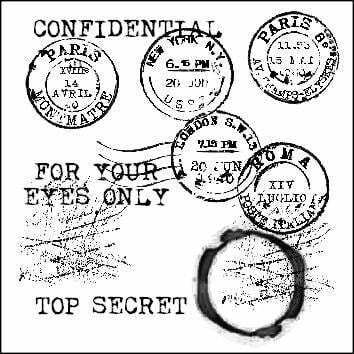 Stamped area of the circle is 1 3/8" x 1 3/8" - 3.5cm x 3.5cm. 'Feel the Magic' text stamp and 'Make a Wish' circle stamp available separately.